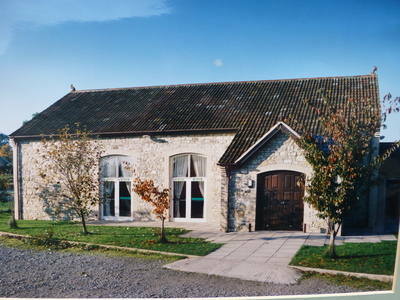 Ours is no ordinary Village Hall! Feel part of our comunity and run your own event in our hall- family, amateur or professional. If you can imagine it, you can make it happen here. Then enjoy your day doing it. Come and enjoy the use of this hall for any event you can hold. We do everything to make your day an enjoyable success. It looks good - we built it to reflect the character of the village. Only five Halls in Somerset have acheived this standard. Come on in! Have a look around!! We asked this nice bloke from another village to update this site. He did it because he said he likes us and our hall. He thinks you would too. Their full title is Four-Foot-Four Ceildh Barn-Dance-Band. 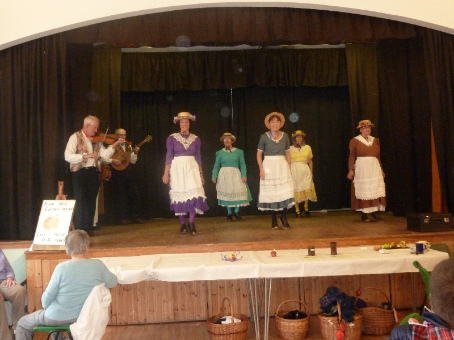 After their barn dance here on 12 October, they said "The village hall in Kilmersdon is a great venue for a barn dance, ceilidh or similar event, as there is loads of space for dancing and a nice stage for the band to play from.” And ... it's fun way to help keep you fit. We train on Monday nights at this Hall. It's a great way for you to feel good. We find the hall perfect for training. It's location and facilities make it a perfect venue for Taekwondo. Past Performance Really Is An Indication Of What You Could Do Here!! HOW WE MADE IT !! 25 Years ago, the Kilmersdon Arts Academy performed in the hut which was then the Village Youth Club now the one in the Herb Garden hut. There were two performances each time and the hut was packed at e ach one. All this without a stage - the curtain was a dust sheet stretched crudely over a scaffold pole. With no room for changing, the performers ran across a flimsy platform to and fro a horsebox parked close by. Changing was unisex - not much privacy! So what happened in the Hall ? -- Look at What They Did. Booking is easy! - Call Cherry on 01761 436767! You may wish to be aware that we do not track you or record anything about you, but other people do.